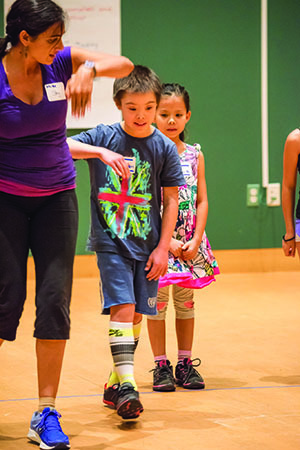 The Center is creating a new, fully inclusive dance and music school for children of all abilities, including those with physical and cognitive disabilities such as Down syndrome, cerebral palsy, autism spectrum disorders, audio and visual impairments. The school will be for children from ages 4 through 12 and open in February, 2017. 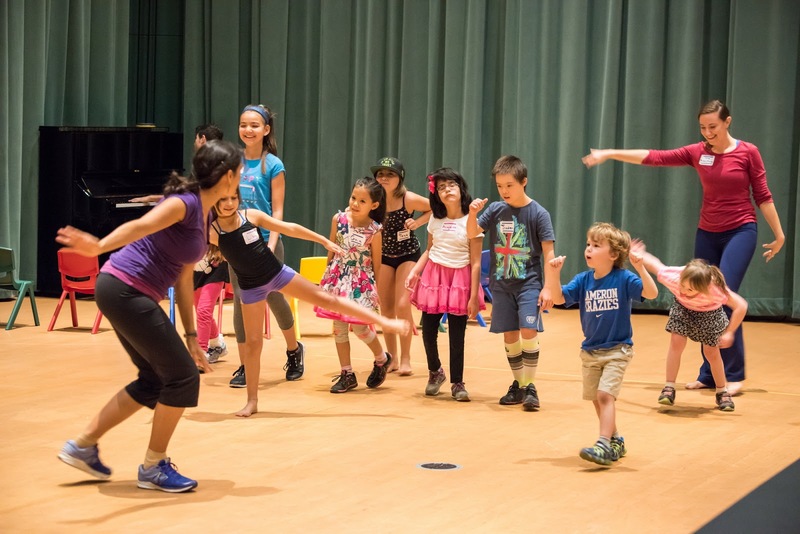 The classes will encourage children to explore their full physical and social potential through high quality, joyful dance and music instruction. Teachers will use exercises designed to be fun and entertaining as they help to improve the children’s personal and social growth, balance and coordination and to encourage curiosity and build imagination and confidence. Classes will be offered on Mondays from 5:30 – 6:30 p.m., Thursdays from 10 – 11 a.m. and Saturdays from 9 to 10 a.m. Additional classes and times will be announced later. For more information, please visit the Center’s website at SCFTA.org or call the school’s director, Susan Marie Kendall, at (714) 556-2122, ext. 4337. The teachers function as a team. This team is led by the Dance Teacher who guides each class through the curriculum. The Music Teacher supports the Dance Teacher by providing musical accompaniment to reach learning objectives as well as direct musical instruction during the musical component of class. The Therapist (OT/PT) Teacher functions in a supportive teaching role and advises the team on safe movements and offers direct support to students as needed. Ashley Jones began her training at Orange County Dance Center where she rose to principal ballerina with Ballet Repertory Theatre eventually becoming a full time instructor and choreographer. Ashley holds an AA in dance from OCC as well as a BA from USC and was named one of Long Beach’s 30 under 30 performing artists in 2013. She is Basi Pilates certified and is a resident dancer and choreographer with LA Unbound and Kenneth Walker Dance Project. Ashley is the junior ballet & jazz company director at the School of Dance and Music in Manhattan Beach and travels nationally judging for Move & Reflections Dance competitions. Melinda Malher-Moran is a Registered Dance/Movement Therapist, Licensed Professional Clinical Counselor and dance instructor in the Orange County area. She holds a Bachelor's degree in dance and a Master's degree in expressive therapies. Melinda has extensive experience working with children and teens through dance and movement in a variety of clinical and non-clinical settings and is excited to be a part of Segerstrom Center for the Arts' team. Brittany has been a dancer since the age of two, competing on her high school and the University of Oregon dance teams. She has five years experience as a pediatric physical therapist with a doctorate degree from Chapman University. She has experience teaching dance in a studio setting as well as in a therapeutic setting. She has a passion for dance and for helping children with disabilities, which makes this program a perfect fit! Shyamala Moorty is dedicated to collaborative and transformative art making practices. Since 1998 she has taught and created dance curriculum for youth all over Southern CA with the Aman Dance Educators, and has recently been a part of the ESCAPE project, co-creating movement lessons to enhance English language learners’ understanding of science. An MFA from UCLA, Shyamala is currently Adjunct Faculty at West LA College sharing her passion for yoga with students of all abilities. Rebecca Nguyen MA, OTR/L, received a Bachelor of Science degree and a Master of Arts degree, both in Occupational Therapy, from the University of Southern California. She is a Pediatric Occupational Therapist who has experience in a variety of settings including schools, clinics, hospitals, and home-based treatments. Rebecca’s professional interests include feeding therapy, early intervention, and neurodevelopmental treatment. In her free time, Rebecca enjoys snowboarding, attending Zumba classes, kickboxing and lounging on the beach. Danny Pravder is a pianist and composer based out of Las Angeles. He attended Skidmore College on a classical piano scholarship, and was a recipient of the Young Emerging Artist Scholarship in honor of the legendary jazz pianist Dave Brubeck. Danny has composed for a wide variety of ensembles, ranging from ballet to big band. He has music directed seven full length musicals. He showcased original works at the nationally recognized Place Theater and Plaza Hotel, and performed at events headlined by Grammy Winners Liza Minelli, Steve Martin, Edie Brickell and Pablo Sanchez. Danny is a part of Da Capo Players, an ensemble that toured with Rod Stewart and performed with Kanye West at the Hollywood Bowl. Currently, Danny is a ballet, modern and character class accompanist with the American Ballet Theatre, Segerstrom Center for the Arts, California State University Long Beach and Chapman University. He is also a keyboardist for the renowned television program, the Hour of Power. Danny recently recorded piano and arranged at Capitol Records for Grammy winning rapper Kid Cudi’s album, Passion, Pain & Demon Slayin’. Anna is a physical therapist and board certified pediatric clinical specialist. She has 7 years of experience working with kids with disabilities in a hospital setting. A native of San Diego, she received her doctorate degree from Western University of Health Sciences in 2009. She began dancing at the age of 4 and spent the next 20 years dancing ballet, contemporary, and tap. 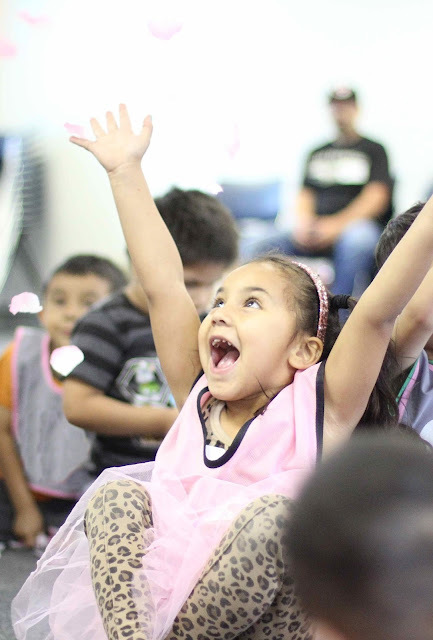 She is excited to be a part of this amazing program and the opportunity to introduce kids to the joy of dance! Meg Terán is a dance-teaching artist, bilingual educator, and curriculum writer who has worked with dancers of all ages in schools and community settings. Her students build dance vocabulary through creating and responding to each other, while also developing individual strengths and collaborative skills. In 2010, Meg received the Elementary Dance Educator of the Year award from the OC Music and Arts Administrators. She holds a BA in World Arts and Cultures from UCLA and an MA in Education from Chapman University. James Wieners holds a BM and MM in Performance from Biola University and the Longy School of Music, with training at the Berklee College of Music and Oberlin College.Active as a violinist and violist, he has participated in performances, coachings and masterclasses with members of the LA Philharmonic, LA Chamber Orchestra, Cleveland Orchestra, New York Philharmonic and Boston Symphony; the Beaux Arts Trio; the Juilliard, Turtle Island and Escher String Quartets. He frequently performs with ensembles in both classical and non-classical genres.